Our adventure was delayed for about six hours as our bus broke down in Des Moines IA. 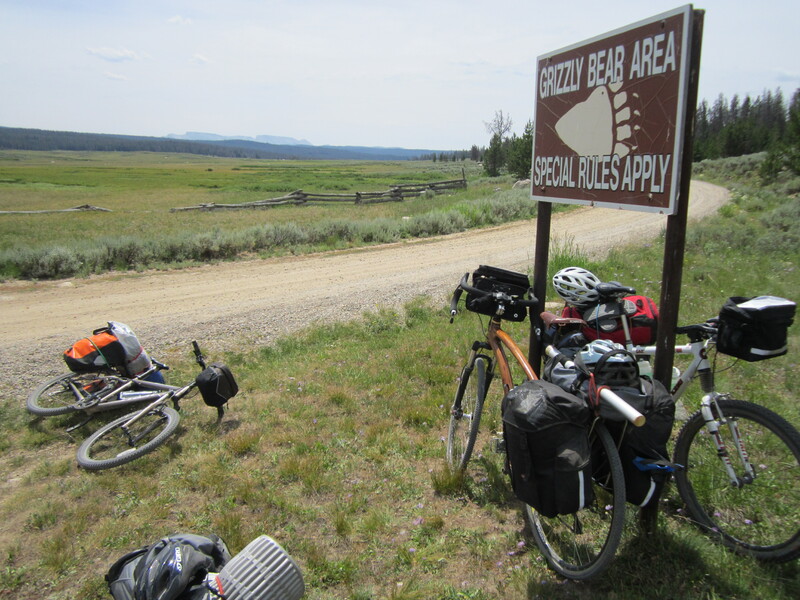 We started pedaling from Pinedale WY around 3:30 in the afternoon and headed north toward the Grand Tetons. 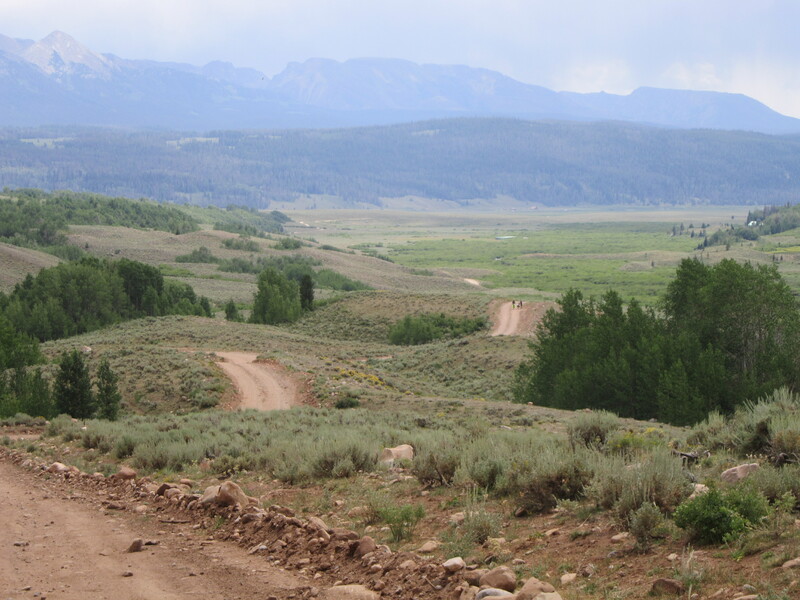 We rode paved roads for the first twenty miles then we turned on to the ubiquitous, severely wash-boarded gravel roads that Wyoming is famous for. The travel fatigue and the increase in elevation made for a very challenging first day. It felt like I was pedaling with a plastic bag over my head and I was breathing through a soda straw. The next day I was much more acclimated. To say the scenery was spectacular would be a gross understatement. 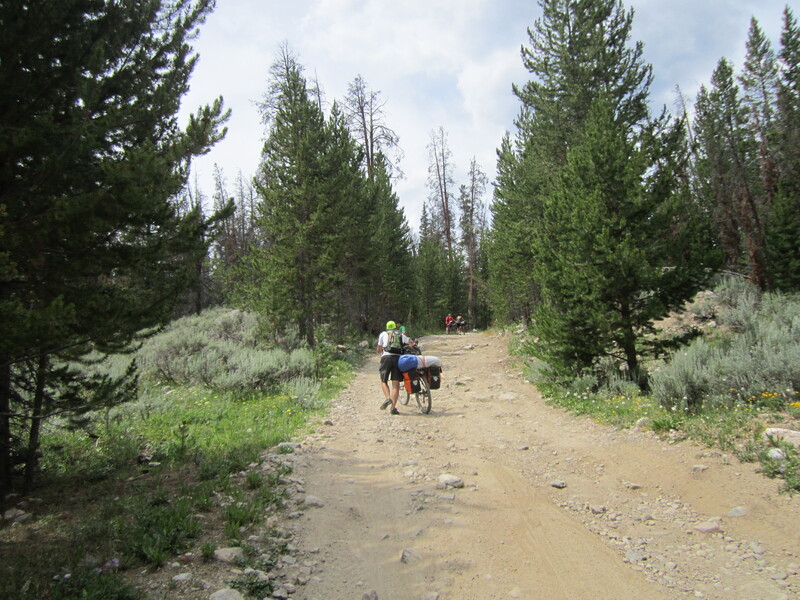 We pedaled a combination of gravel roads and dirt trails almost always wash-boarded. At the end of each day, my arms felt like I had been operating a jack-hammer. I was exceedingly thankful to have a shock fork and “29er” wheels which rolled over the mess as well as could be expected. 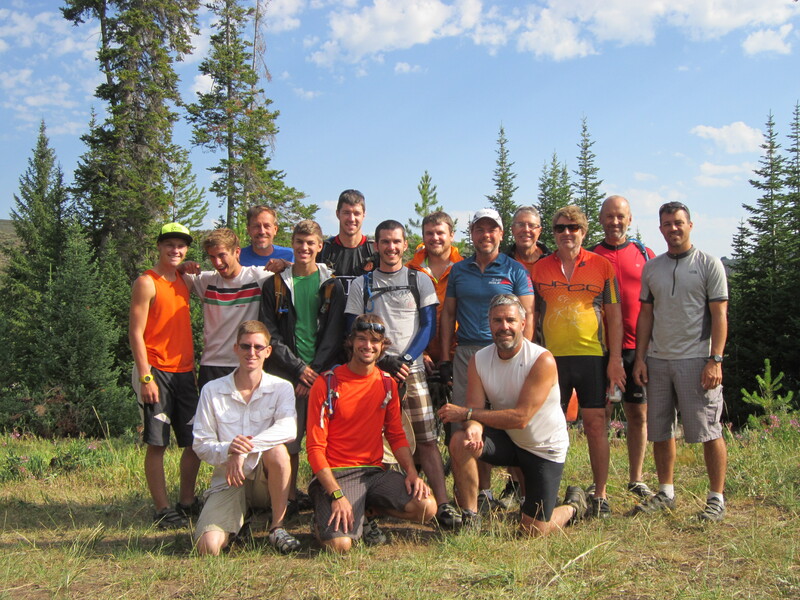 We covered about 190 miles in six days. That doesn’t seem like much but on a overloaded mountain bike on dirt with some extreme climbs it was enough. 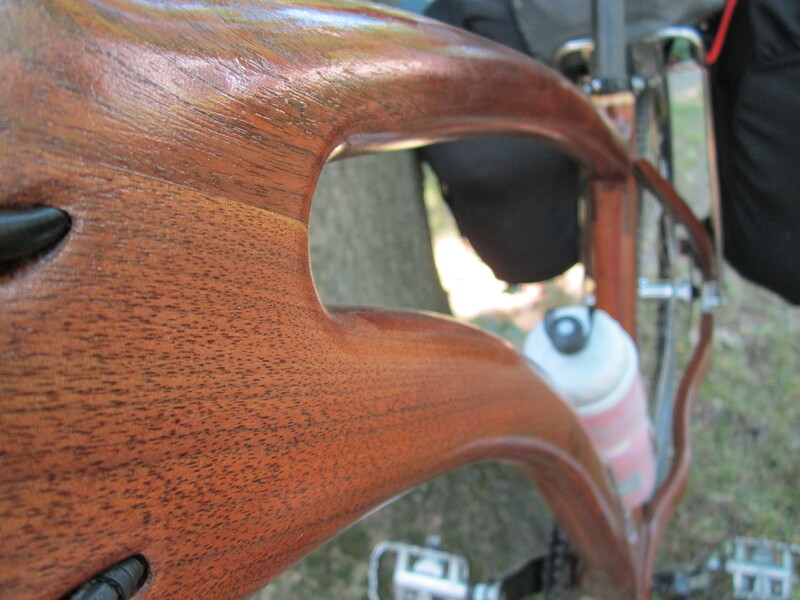 The wooden frame survived the abuse of the trip. Highlights include: seeing moose, alpine sheep, wolves and bears, catching some stunningly beautify rainbow trout on my travel-fly-rod. 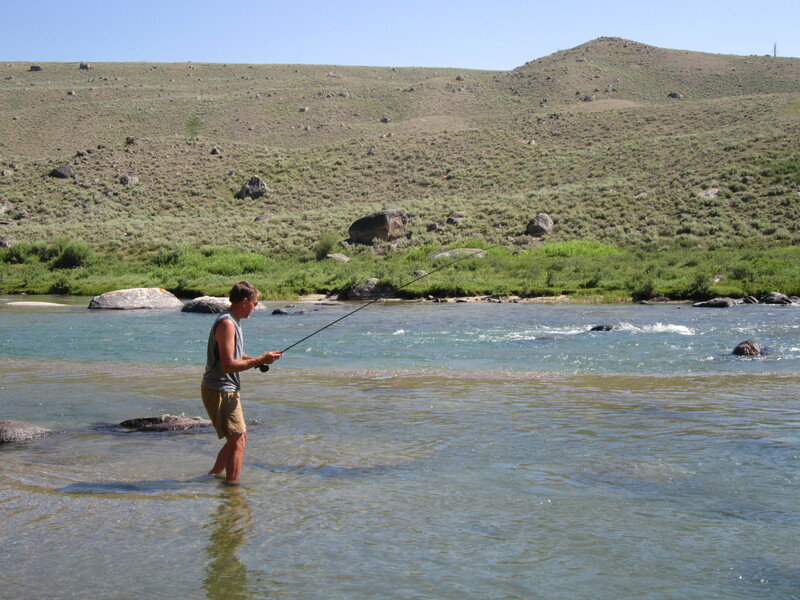 Eating freshly caught trout, wrapped in wet grass and roasted in the campfire, jumping off a bridge into the frigid Green river, “rafting” down the Green river on our air mattresses, and most of all bonding with a bunch of guys the have a passion for the outdoors, adventure and most importantly a relationship with Jesus. Coasting for twelve miles. Yipeee! Fantastic! I wish you the best!